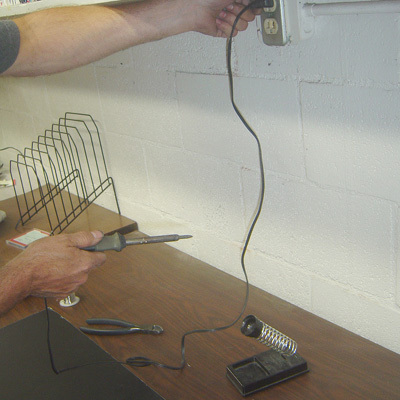 Step 1: Turn on the soldering iron. 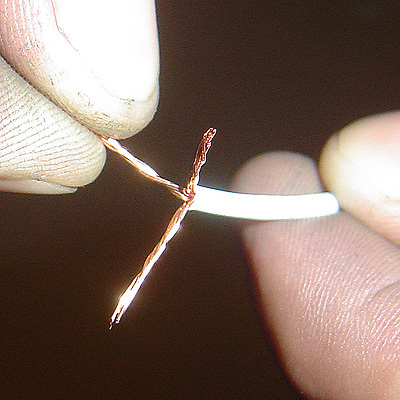 Step 2: Strip 1/2" insulation off of wires to be soldered. 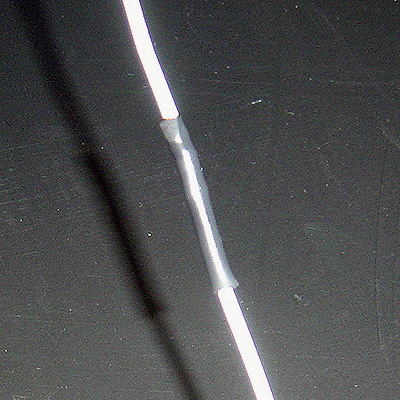 Step 3: Cut shrink wrap & slip it over one wire. 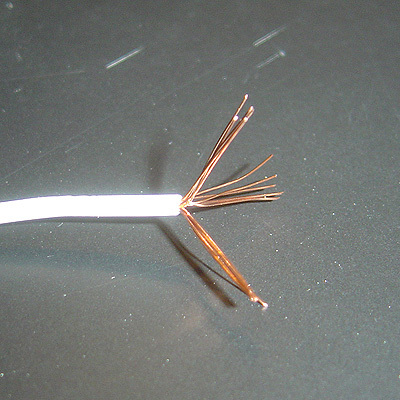 Step 4: Split wire strands into 3 bundles (3 legs). Step 5: Twist each leg. Form the legs into an angle approximately as shown. 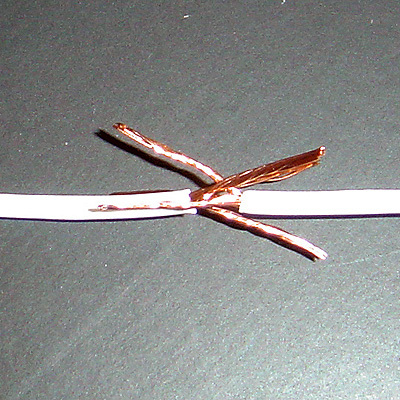 Step 6: Insert the ends of each side into the other side. 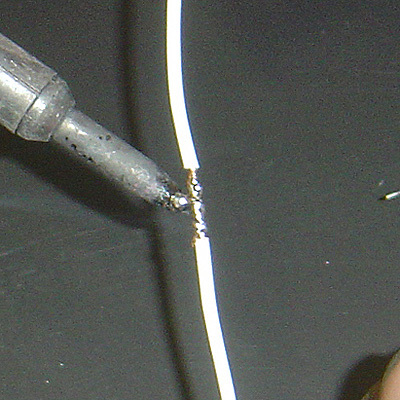 Step 8: Tin the soldering iron to increase heat transfer. 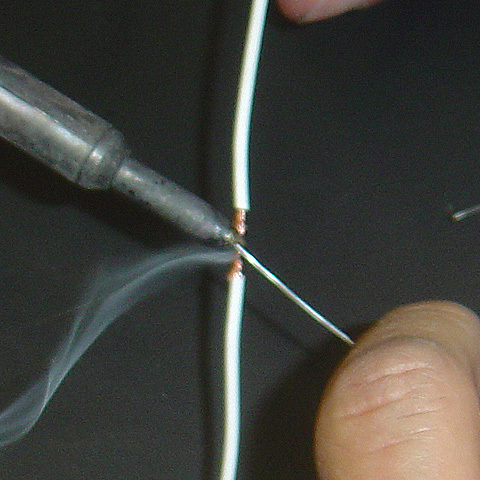 Step 9: Touch soldering iron to wire to heat wire. 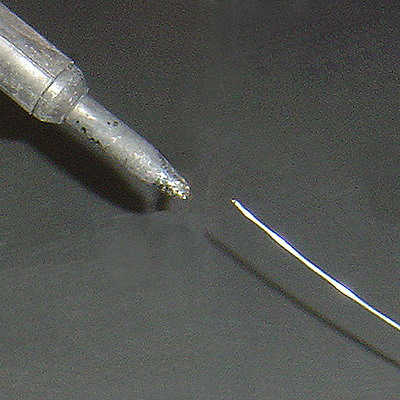 Touch solder to iron to create a puddle of solder between wire and iron. 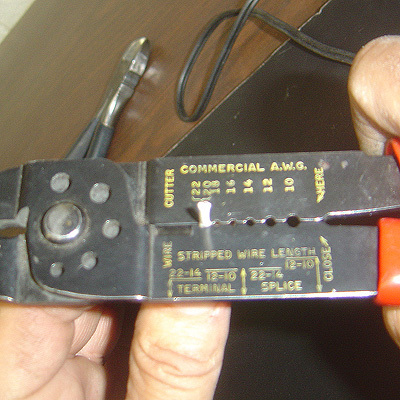 This promotes good heat transer from the soldering iron to the wire. 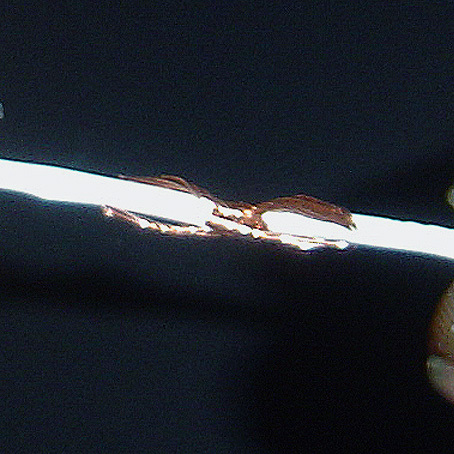 Step 10: Hold the iron against the wire to keep the wire hot. 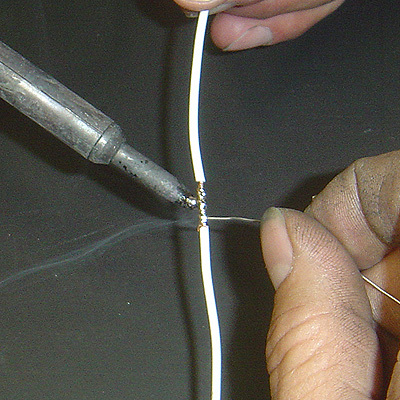 Feed the solder into the wire little by little. 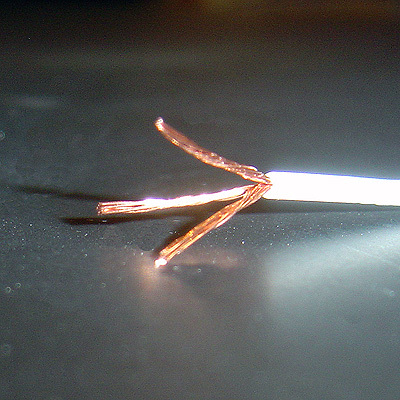 Too much solder will cool the joint and stop the solder from melting. 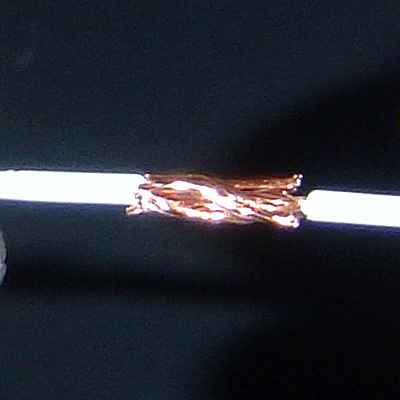 Do not feed solder into the iron! 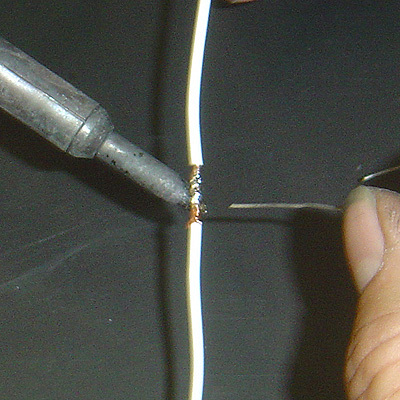  You're cooling the solder joint by adding too much solder. 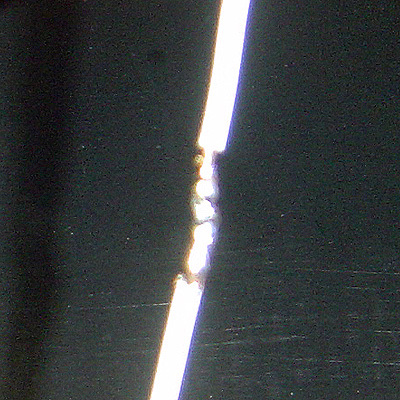 end to the other of solder joint. 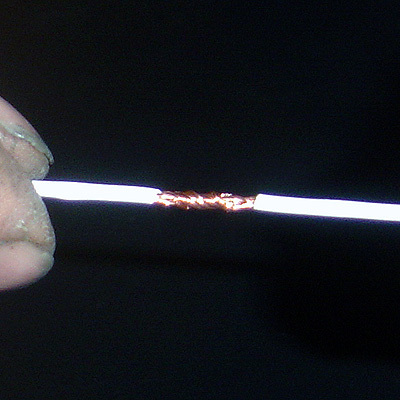 Step 12: Continue heating solder joint with iron on wire without adding more solder. Step 13: Shoulder joint complete. 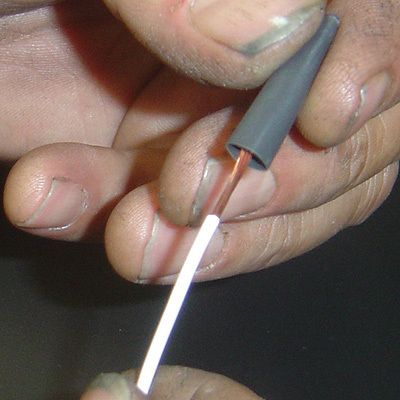 Give it a pull test by tugging on both wires while looking at the joint. 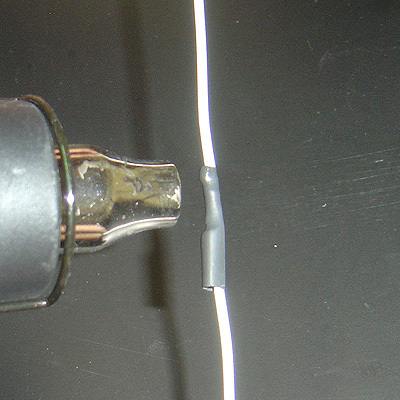 Step 14: Slide heat shrink tubing centered over the solder joint. 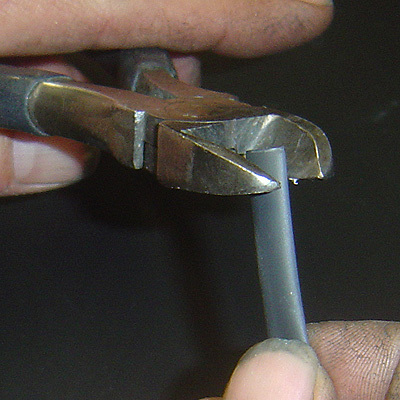 Start at one end and move the heat gun slowly and evenly over the joint. Step 15: That's It! 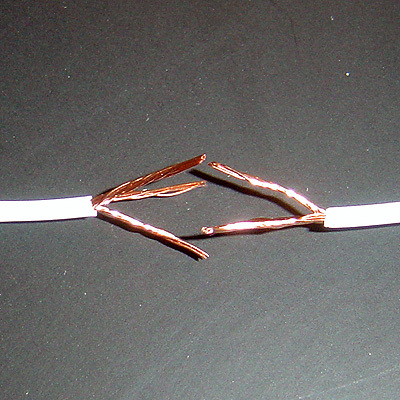 Your soldering is now complete.